The senior circuit certainly had their fair share of disappointments on the hill. In most cases, we are talking about pitchers that got hurt and underperformed because of that. Injuries happen, but when players build a track record of good health and performance then it is easy to be disappointed. The fact is that pitchers are more susceptible to injury as they get older. It is one of the many reasons why giving pitchers long-term deals is so risky. Yet, teams continue to do it to their own detriment. Not all of the pitchers on the list are under long-term contracts or old, but if we have seen anything happening in baseball we have seen a sharp increase in the need for Tommy John surgery (ligament replacement surgery). It seems like every team has at least one major league pitcher or big time prospect that spends most of the season on the shelf. Some teams (like say the Atlanta Braves) have multiple guys on the shelf. Until the sport finds away to curb this trend, it would be wise to be wary of just about every pitcher on the board on draft day. Obviously, the numbers are very good, but Fernandez didn’t even make it to June. He was shut down for the season and had surgery. Most pitchers in his situation are down for 12 months. His tale is a fairly common one. He had a brilliant rookie season in 2013 and therefore was one of the top five starting pitchers off the board. It is a cautionary tale that people should consider before drafting any of this seasons rookie pitchers high up in their draft. Hard throwers like Yordany Ventura are particularly vulnerable. We don’t know why exactly, but experience tells us it’s true. 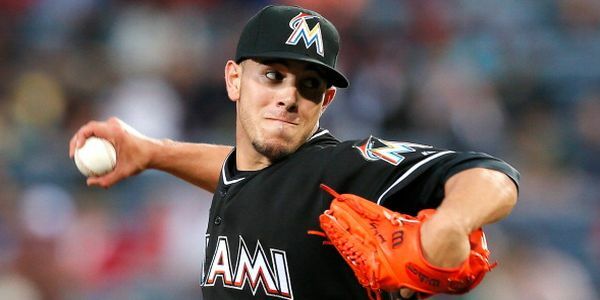 The road back for Fernandez is a bit cloudy because he likely will not be back in Spring Training. So, he might be a waiver claim later. 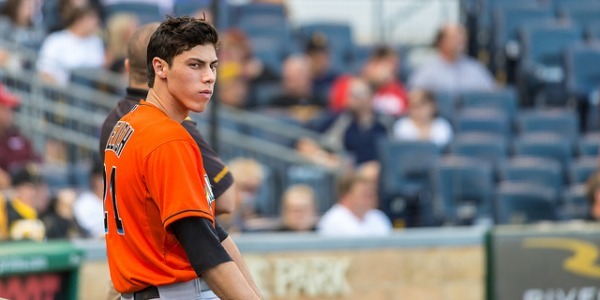 If it takes Fernandez a calendar year to come back then he likely won’t be back until June of 2015. Four months of Fernandez is still pretty strong if he is able to approach 2013 numbers, but that isn’t likely based on past experience. Most of the time, it takes a pitcher two years to get back to where he was before the surgery. So, Fernandez might be the Fernandez of old in 2016. That’s good news for guys who have him in keeper leagues, but it does little for you if you are playing in a standard league. Fortunately, the Marlins are improving as a team, so he still might give you decent win and strikeout numbers once he comes back. The Phillies were pinning their hopes in 2014 on the arms of A.J. Burnett and Cliff Lee. Burnett was healthy, but wasn’t as effective as usual. Lee was effective, but wasn’t as durable as he usually was. The Phillies had hoped to deal him during the season, but he never could get healthy enough to showcase his skills for another team. It does make you wonder if such a deal will happen in the offseason. Lee isn’t the pitcher that Fernandez is, but he does have a couple of things going for him going into next season. First, his injuries were more of the nagging kind as compared to Fernandez. He can come back next season relatively healthy. Also, it is a fair bet that the Phillies will end up dealing him sometime this offseason. If Lee is smart, he will accept the deal and move onto a better situation. If he gets good run support and fielding support behind him he can still put up all-star level numbers. Imagine what the Giants could have been if Cain had been healthy and effective all season. As it stood, they snuck into the playoffs and got hot at the right time. If anything, Cain’s presence helps them in the future as they try to defend their title. When Cain was pitching he was the epitome of bad luck. Not only did he not get good run support, but the fielding behind him seemed to fail at inopportune times. He would go through starts and seemingly be sailing and then all of the sudden it would all go to hell in a hand-basket. What we know is that bad luck usually doesn’t last just like good luck doesn’t last. If we assume that Cain is going to be healthy then we can assume that he will return to the Matt Cain we were accustomed to seeing in 2013 and before. Cain became a full-time starter in 2006 and managed to hurl at least 184 innings every season from that point until last season. 4.15 was the highest ERA in any particular season. He usually has suffered from poor run support, but wins are only one statistic in the group of statistics that matter. He has struck out at least 158 hitters in every season until 2014. It is a good bet that he will return to that form next season.